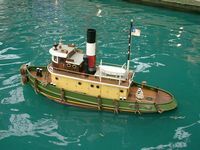 A memorial to the late Dwight Hartman, owner of Hartman Fiberglass Models: click here. 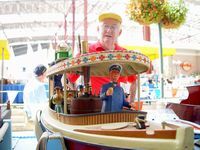 Dwight Hartman was active in the St. Louis Admirals club click here. 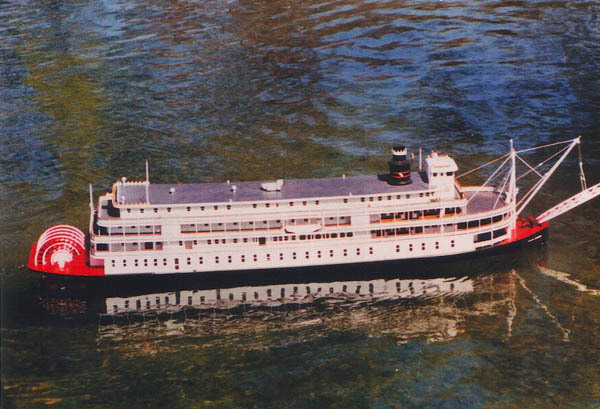 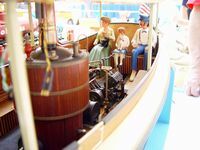 A model of the Delta Queen built from one of Dwight Hartman's kits. 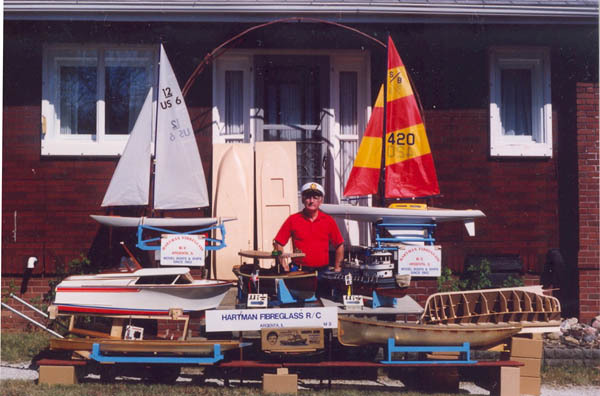 Dwight Hartman with his model boats. 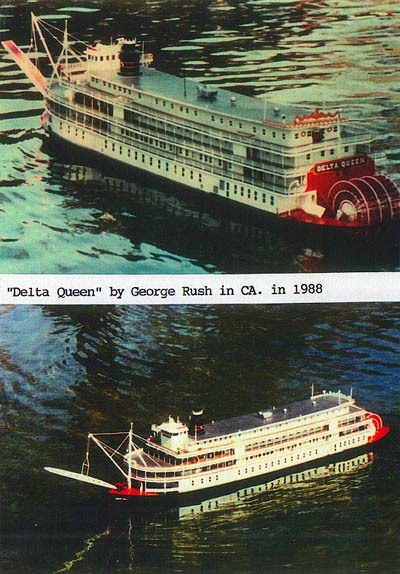 The Delta Queen hull is seen left and rear left.